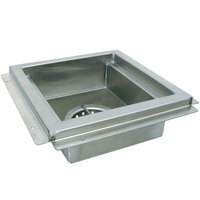 Maintain safe floor conditions and working areas by installing these floor troughs in your kitchen. 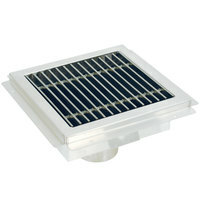 These troughs are designed to drain collected water directly to sub-floors. Place these commercial floor troughs beneath steam equipment for convenient end-of-day draining, or use them in any other operation that requires employees to handle excessive amounts of water, including dish rooms, indoor pools, restrooms, and hotel spas. We carry floor troughs with stainless steel grating that offer exceptional durability, as well as styles with fiberglass grating that are skid- and corrosion-resistant. 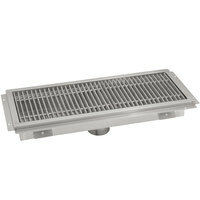 Both options feature grates with enough clearance between their bars to permit fluid and prevent potential clogging. 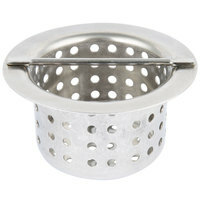 You’ll also find that many of these commercial floor troughs have removable strainer baskets, allowing you to empty out large debris that may become caught.